SportVideos.com :: Half Price DVD Sale :: Tennis DVDs :: Winning Tennis: Dedicated Practice DVD featuring Coach Lou Belken- Free Shipping! Home :: Half Price DVD Sale :: Tennis DVDs :: Winning Tennis: Dedicated Practice DVD featuring Coach Lou Belken- Free Shipping! 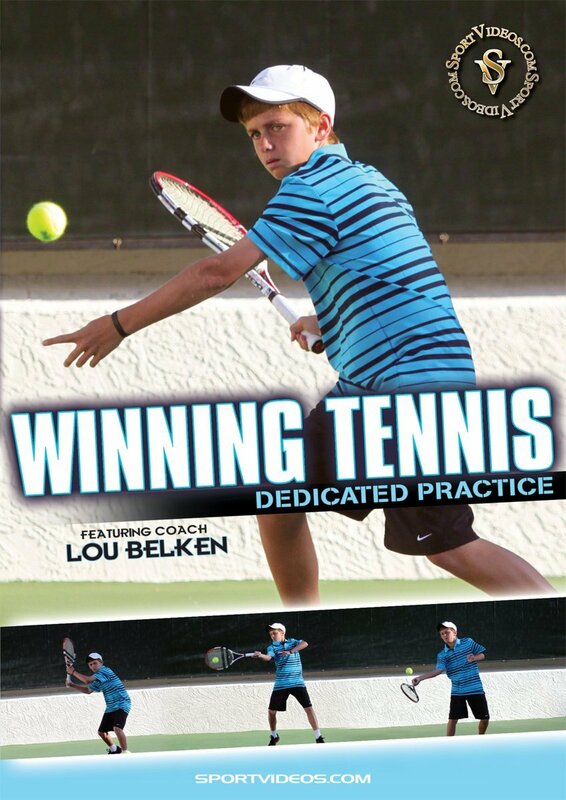 Winning Tennis: Dedicated Practice DVD featuring Coach Lou Belken- Free Shipping! Every time you go to the court, the goal should be to maximize your practice time. By applying a technique called dedicated practice, you can efficiently utilize your time, measure your progress and stay motivated. In this comprehensive DVD, Coach Lou Belken demonstrates how to apply the principles of dedicated practice. Numerous drills are provided to work on specific details, test skills, get feedback and become more proficient. Apply the principles of dedicated practice and you will become a better player. About the Coach: Lou Belken has coached the sport of tennis for 40 years. Players that he has developed have achieved a #1 ATP World Doubles ranking, captured two Grand Slam Doubles titles, reached the Wimbledon Doubles Final on two occasions and have claimed an NCAA Singles Championship. Belken served as the Head Men's Tennis Coach at Arizona State University for 26 years. The Sun Devils gained NCAA Tournament berths in 14 of the last 20 years, achieving five sweet 16 appearances and a final 8 finish. Lou Belken was a multiple Pacific 10 Coach of the Year honoree. Additionally, he trained and produced 14 All America players and 28 All Pacific 10 selections.